Why Choose Our California Lemon Law Firm? How do I get a California lemon law case started? Pitfalls of do-it-yourself lemon law in California – owner beware! The Law Offices of William R. McGee provides its legal services to the residents of Hollywood, California and surrounding areas. Legal case representation for California lemon law claims from consumers in Hollywood and it’s surrounding cities is offered by our firm on cases that we accept. A consumer in the Hollywood area should consider the benefits of utilizing a California lemon law attorney firm that has 30 years of experience vs. many “newcomer” attorneys that have chosen to include lemon law into their practices in recent months or years. We believe that nothing takes the place of experience, which we have in settling over 19,000 California lemon law cases. We invite all consumers in the Hollywood area to call us at 1-800-225-3666 and discuss your car’s history of repeated repairs. Our free case reviews and evaluations can be accomplished for our prospective clients by either faxing or emailing in their vehicle’s information. It is not necessary for our prospective clients to visit us in person. However, we do have many offices throughout California in which to serve you if you wish to visit us by appointment. Proper consumer representation in a California lemon law action requires experience. Our 30 years of serving California residents puts us in a unique position to properly address your needs. Please contact us at the toll-free number below. 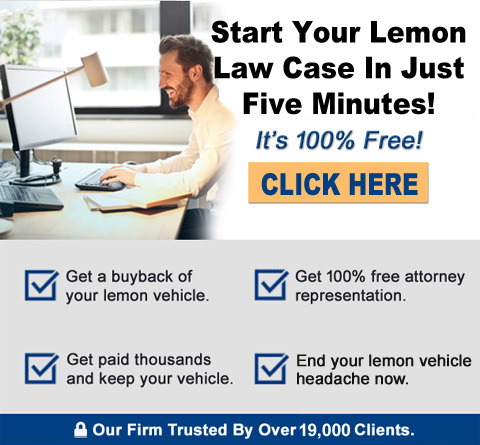 Find out if you have a lemon law case today! If you have your repair documents available in one of these file formats (.jpg, .jpeg, .png, .gif, or .pdf), skip this form and go directly to our "Upload Your Repair Documents Form" for faster service! I had many issues with my Ford Focus. I was taking it into the shop more than enjoying my new car. I became frustrated and didn't know what to do. I found Law Offices of William McGee and decided to give them a try. I am so glad I did. They walked me through the process of filing a lemon law on my Ford and clearly communicated the documents needed. They took care of everything else. I was super happy with the outcome. Definitely recommend them. Thanks! I received a great settlement on my 2012 Ford Focus. A little background: soon after I purchased my vehicle I noticed irregular shuddering, which is a major problem with the year and model. The problem persisted for several years and resulted in multiple trips to the dealer, many hours of work and personal time lost, and hundreds of dollars in costs. I spoke with an expert at the firm and they assured me that not only would I qualify for a settlement, but that it would be completely free of charge for me. The process went flawlessly, the service and follow up was amazing, and within 3 months I received a very large check (over 7k!) from Ford as a settlement. Without this company I'd likely be in the process of selling my car at a massive loss and completely clueless on how to resolve the issue. Highly recommend for anyone with a vehicle with constant problems! The use of the internet, including but not limited to: forms, email, sms text messaging, etc., for communication with the firm or any individual member of the firm does not establish an attorney-client relationship. Confidential or time-sensitive information should not be sent by any of the communication methods noted above.